The National Youth Board had their first meeting at Facebook London, on the 12th September 2015. The day was packed full of activities, training to help with their new role, a Facebook tour and lots of food and fun! Sundas wrote... "I enjoyed my first Youth Board meeting and loved that I made new friends who share the same passion as me, we were all against bullying and wanted to stand against it! During the day we were able to share ideas to take back to our school's." Oscar wrote... "I enjoyed meeting all the other people on the Youth Board. I also liked the game Trash for Cash as it got us talking and it was really enjoyable. I enjoyed finding out what other people did to combat bullying in their own schools and communities." 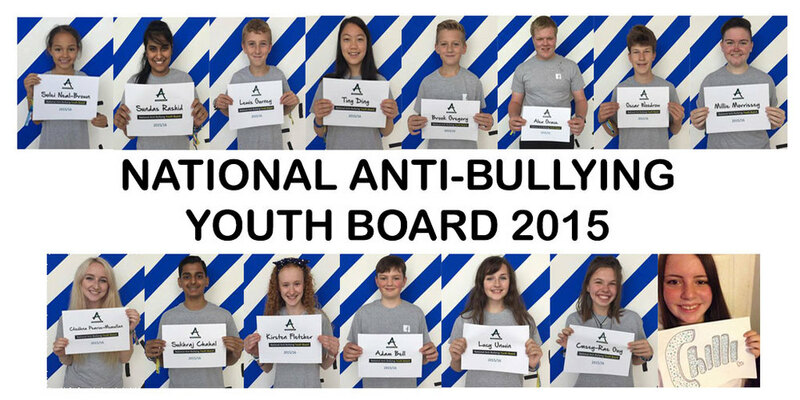 It was my first meeting as an Anti-Bullying Ambassador Youth Board ember and I had an awesome day. I am going to take you session by session through the day. Me, Mum and Dad went on a train to the Facebook HQ in London at 7:30am. The building was really tall and all glass. There was 15 of us on the Youth Board and we all made friends. It was 9:30am and our first session was just about to start. Sara told us what our first session was; it was really just getting to know the leaders. We then had a break for about 10 minutes. Facebook has got a free snack bar where you can take whatever you want (and whenever), I had some fruit pastilles. Before the second session started we were given bags and a T—shirt to go and try on in the bath room. The bathroom was really posh and white. The T-shirt fitted perfectly! In the bag was an ABA badge, wrist bands, two highlighters, notebooks, pens and some lip balm from Facebook. Dough balls, American Pizza and a Sprite. 2:30pm session four and we played trash for cash; it is where we had to try and sell the object for Alex Holmes money (fake money). 3:30pm we met the mentors and they told us all about the youth board. For our last session we did a periscope we got people from LA saying hello. A periscope is something where you talk into a phone and people from around the world can ask you questions. We helped some people with bullying questions. We have been given a book full of monthly suggestions of things to bring back to school to do and take back to the next youth board meeting. We had a great day and the Youth Board were ready to take their ideas back to their school's and inspire their peers! Newer PostHave your school recognised across Europe as an ENABLE school! Older PostFantastic on Facebook? Tasty at Twitter? Amazing at ASKfm?